Texas broadcasters will salute the achievements of five exceptional industry leaders at TAB’s Annual Awards Gala. Four honorees are being announced today. TAB will announce the recipient of its inaugural Distinguished Service Award later this month. The Gala, part of #TAB2018, is set for Thursday, Aug. 2 from 6:30-9:30 pm at the JW Marriott in Downtown Austin. “Texas’ standing as an economic and cultural pillar of the country is rooted in part in the work that local broadcasters play in building the thousands of communities throughout the state,” said TAB President Oscar Rodriguez. “The broadcasters we’re honoring this year have been key in advancing not just the industry, but public policy, technology and education alike. They demonstrate the enduring role that local broadcasting plays in protecting Texans in times of crisis and in fostering greater civic engagement and public accountability. They have helped define the highest standards for broadcasting in every respect and Texas is greater for their efforts. T he long career of Texas broadcaster Brad Streit is a true example of a passion for local television broadcasting and the unique, personal perspective offered by free, over-the-air stations. 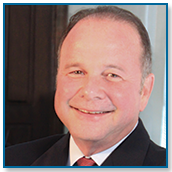 In the industry for more than 40 years, Streit’s career has taken him to stations in Ohio, Mississippi and back to Texas where he currently serves as Television SVP for Raycom Media and spearheaded the company’s expansion in Texas with stations now in seven markets. Streit, serving as TAB Chairman in 1995, has a long history of service to TAB and the Texas broadcasting industry with his leadership but his biggest beneficiaries are the viewers who trust his stations to deliver on the promise of being effective communicators, with servant’s hearts. 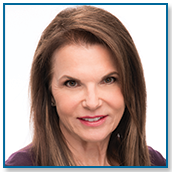 Susan McEldoon has been at TEGNA’s CBS affiliate in Houston, KHOU-TV, since 2004 and currently serves as President/General Manager. At KHOU-TV, and at all her previous stations, staff members know her as a strong mentor and leader – someone who truly values staff input, new ideas and investing in the station’s community impact. That strong leadership was genuinely tested when Hurricane Harvey inundated much of Houston in 2017. She led KHOU-TV through a frightening, hectic and emotional time during Hurricane Harvey while staying in the trenches to make sure viewers could still get important, life-saving information – even as the storm temporarily knocked the station off the air, completely flooded the facility and necessitated a full evacuation. 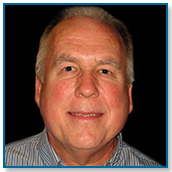 Much like legendary Texas engineer George Marti, Erik Disen has spent more than 44 years in engineering management helping radio stations build strong, reliable broadcast facilities to serve and protect their local communities. In just one of his countless achievements, Disen led the modernization of transmission systems for KRLD Dallas and every other AM station in what was then CBS Radio’s portfolio before the group merged with Entercom Communications. He also led the HD Radio conversion of the company’s transmission facilities in the Dallas-Fort Worth market. 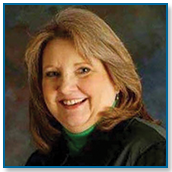 Danita McAnally joined Amarillo College as an Assistant Professor of Radio-TV, Mass Communications and Speech in 1987. She held nine different positions in her nearly 28 years at the college with each position increasing in responsibility from faculty to administrator to executive. She helped pioneer the school’s broadcast advertising degree program to develop a pipeline of young professionals prepared to advance Radio and Television stations’ service to the business community. Contact TAB’s Beth Bobbitt for information on purchasing tickets to the event.